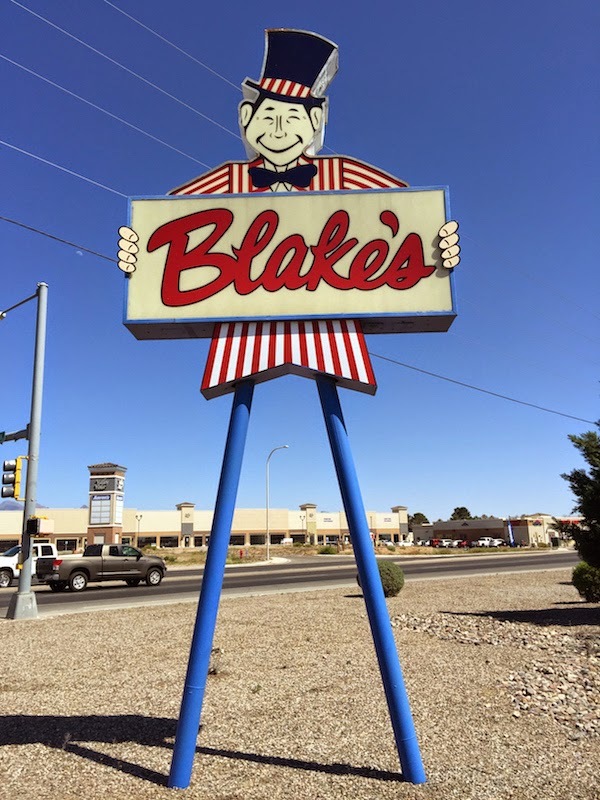 On my drive to Las Cruces, I spotted a couple of burger places called Blake's, with a giant sign out front of a happy guy in a top hat. 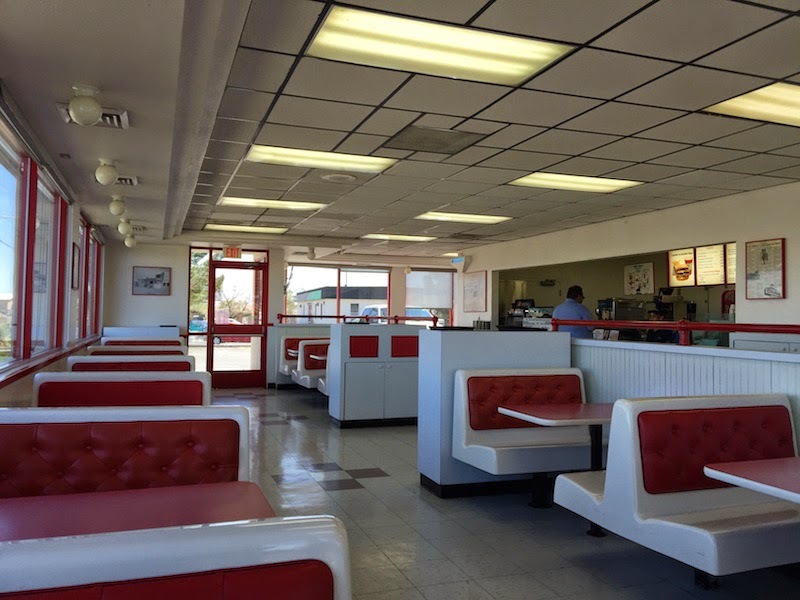 Having never heard of Blake's before, a quick check on Wikipedia told me it's a chain of burger joints in New Mexico. I'm in New Mexico for a few days, so why not try it out? Read my full review with more pictures of Blake's Lotaburger after the break. Like many of the new "fast casual" hamburger places like The Habit Burger or Shake Shack, Blake's Lotaburger cooks its burgers to order. But Blake's opened its first restaurant in 1952. And unlike its newer competitors, the prices at Blake's are a lot lower. Don't forget that I am in New Mexico, so Blake's asked me if I wanted green chiles on my burger. Yes, please! You can also get cheese. Your burger is dressed with lettuce, tomatoes, onions, and mustard. The burgers are cooked medium-well (which I prefer). A Lotaburger is a quarter pound of beef, but my burger felt heavier than that. Maybe is was all those green chiles? 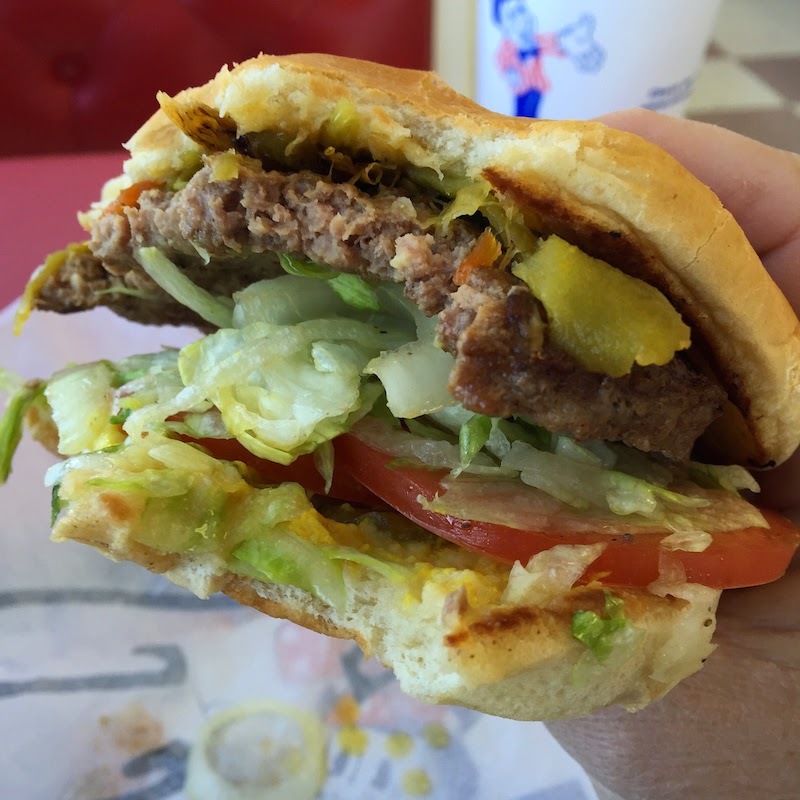 Whatever it weighs, the green chile Lotaburger is really good! It's easily as good as other cooked-to-order burgers like The Habit Burger, and it costs a lot less, too. If you are into local burger chains like Blake's Lotaburger, be sure to try out Little Big Burger the next time you are in Oregon. I ordered the combo, which is a medium drink (actually very large) and fries along with your Lotaburger. 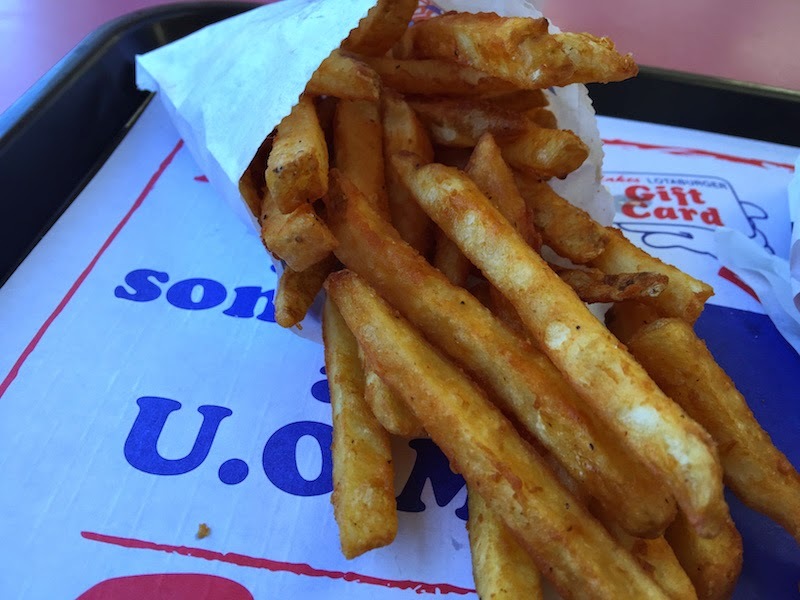 You can get fries, seasoned fries, or onion rings with the combo, and I tried the seasoned fries. These were thicker than the fries at McDonald's or Burger King, and seasoned very tastily. They had a very nice crunch. I really enjoyed the seasoned fries and finished them before my burger. 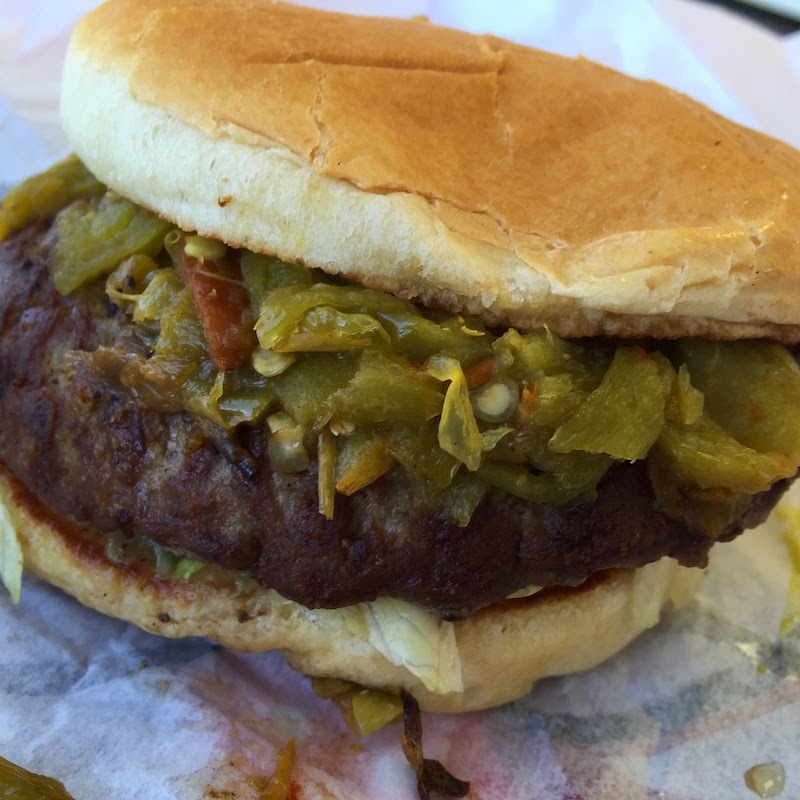 When you're in New Mexico, be sure to try a green chile burger at Blake's Lotaburger.